It refreshes your delicate skin. Has astringent and antiseptic properties. This fresh citrusy aroma of lemon relieves headache and fatigue. 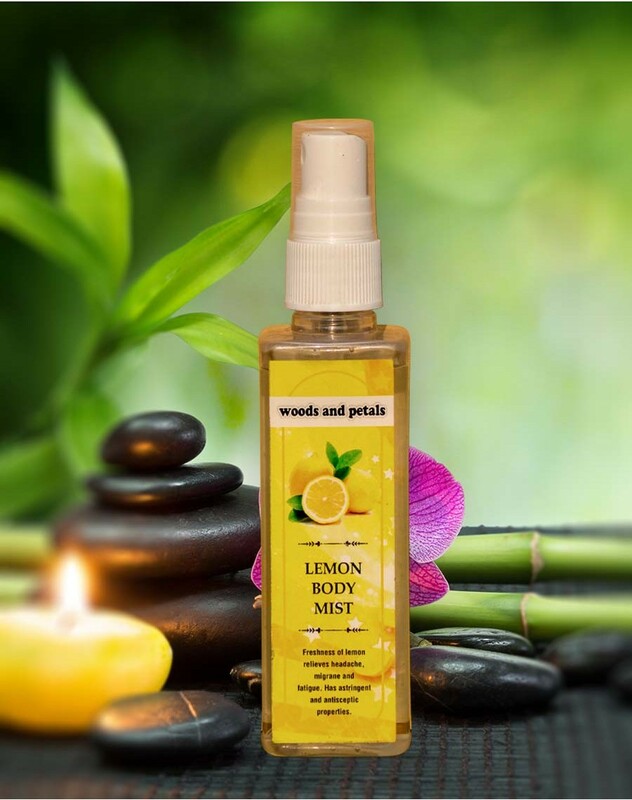 Fresh citrusy aroma of lemon relieves headache, fatigue and refreshes your skin. It has astringent and antiseptic properties which make your skin soft and supple as it has moisturizing ingredients. As it is an alcohol free formula, it is ideal for very delicate skin. It will not dry your skin as there is no alcohol. Shake well before use and can apply on whole body. Simply sprits onto wet or dry skin for the ultimate refreshing experience.